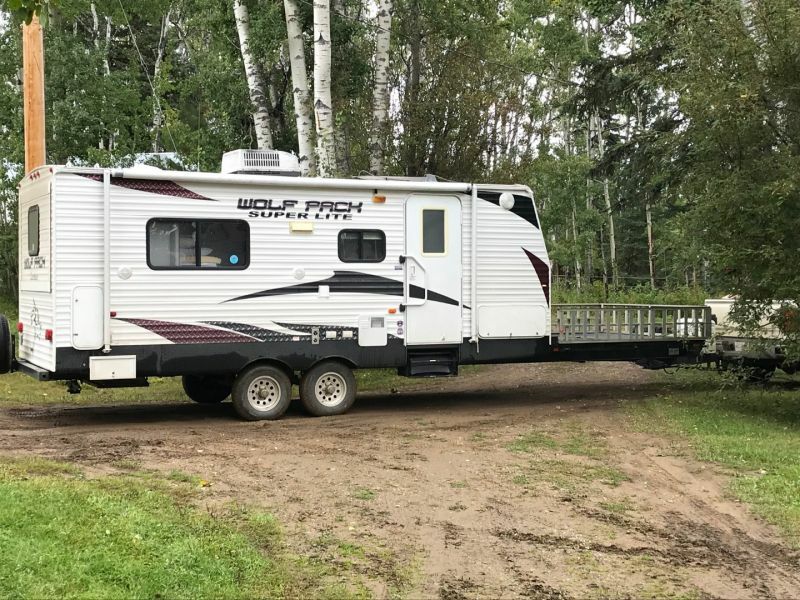 FOR SALE - 2011 Wolfpack 21WP Travel Trailer. 8' X 8' cargo deck on front of trailer; rails double as loading ramps. Rear slide with King Bed, bunk beds, horseshoe dinette, fold down couch - comfortably sleeps 6. LCD TV, stereo (outside speaker), fridge, microwave, stove, shower/tub combo, integrated fuel tank/pump, insulated and heated tanks. Asking $25,000. Please call Vince at (250) 793-5893.